Mr. Ralph Clifford Jackson, III, former police chief of Ashford passed away Tuesday, March 19, 2019 at the age of 70. 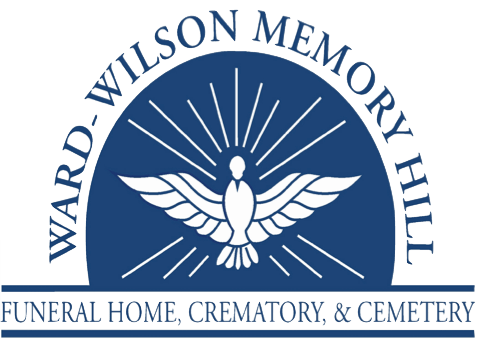 Services will be held at 3:30 P.M. Friday, March 22, 2019 at the Ward Wilson Funeral Home Chapel with Dr. Bradley Rushing officiating and Ward Wilson Funeral Home directing. The family will receive friends at the funeral home from 2 to 3:30 P.M. Friday, March 22, 2019, prior to the service. In lieu of flowers, a donation account has been set up in memory of Ralph Jackson at the PeoplesSouth Bank in Ashford. Ralph was born on October 23, 1948 at Smokey Hill Air Force Base in Kansas. He was raised in Cortland, New York. His last duty station brought him to Ft. Rucker, AL in the early 70’s. He served Ashford Police Department for more than 25 years. He was a triple purple heart recipient after serving 3 tours in Vietnam in the 1st Division. He was a US Army veteran. Everyone knew he loved his family with all his heart. Everyone who knew him loved him. He was a husband, dad, brother, grandpa, pappy, Big Pa, and Hero to name a few. One of things in his life he wanted to accomplish was to find his mom. He was able to find his mom’s burial site which filled an empty void in his life. He loved his Auburn football and he wasn’t afraid to tell you. He is preceded in death by his parents Ralph Jr. and Mary McGee, daughter Kimberly Carol Marshall, grandson Jacob Owen Jackson and brothers-in-law Herbert Youngs and Perry Rawson. Survivors include his wife of 23 years, Carol Jackson of Ashford, AL., daughters Lynn Brunson (Tony) of Cowarts, AL., Sheila Dunnam (Darryl) of Cowarts, AL., Shelda Fisher (Bill) of Huntsville, AL., sons Richard Jackson (Shannon) of Dothan, AL., Ross Jackson (Robin) of Dothan, AL., Russell Jackson (Leslie) of Advance, NC., Sam Tedder (Teresa) of Middleburg, FL., sisters Marlea Youngs of Niagara,WI., Linda McNitt (Doug) of Locana, NY., Barbara Rawson of Cortland, NY., Cheryl Huser (Jeff) of Columbia Station, OH., 31 grandchildren, 21 great-grandchildren, Uncles Henry Jackson (Evelyn) of FL., Glenn Jackson (Robin) of FL., Aunts Norma Gilbert of FL., Myrtie Harrington of FL., Lorena Jackson of CT., and numerous nephews, nieces and cousins.He also has a great-grandson, Lennon Lee Dunnam, that will arrive anyday now.